Microsoft Convergence 2015 was the biggest, brightest, and most important March event for proMX. 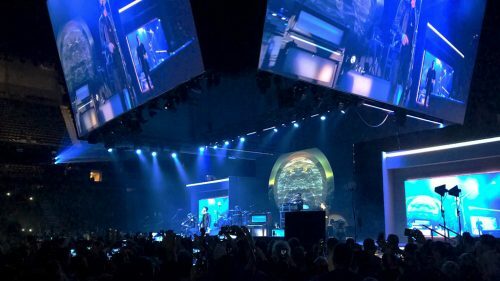 The efforts of the event organizers did not go unnoticed and left a lasting impression on attendees and Microsoft partners alike. This year brought a number of changes and surprises. Even the traditional name of this ever-evolving event, with deep historical background, was changed once again. Doug Burgum, CEO of Great Plains Software, organized the first Convergence in 1997. With the aim of bringing together developers and users, he was able gather just over 100 attendees. Since that time, the number of participants and the popularity of the event have grown every year. The most significant changes appeared after Microsoft acquired Great Plains Software and the conference took its current name (Microsoft Dynamics Convergence). The line of Microsoft products expanded with the inclusion of Great Plains Software’s product – Dynamics GM – and later with Dynamics AX, Dynamics C5, Dynamics SL, Dynamics NAV, and Dynamics CRM. As a result, the turnout from the Microsoft community started to grow exponentially year after year. This unbelievable jump of attendance can be seen as the number of participants increased from 3,355 to 11,138 in 2013, and then to 12,200 in 2014. Convergence was a great show had noteworthy list of speakers. Visitors to the 19th Convergence had the unique opportunity to listen to speeches from some of the main Microsoft executives. 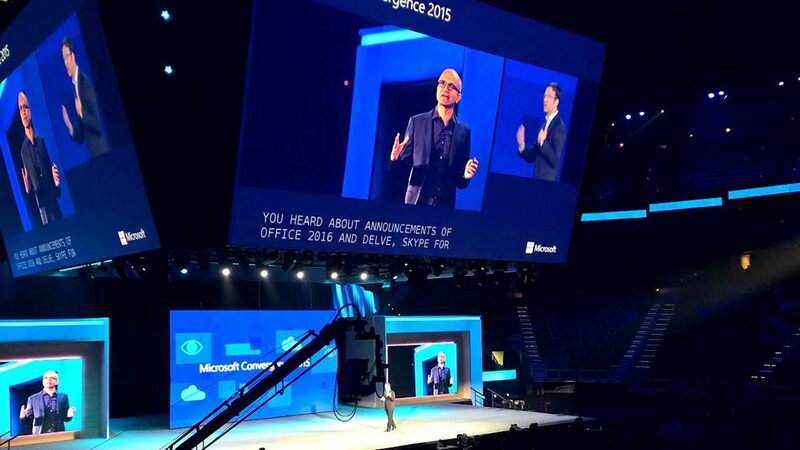 Satya Nadella, who has been at the helm of the company since February 2014, was the main speaker of the conference. Headed by this new CEO, Microsoft expanded its sphere of influence, developed a brand new vision, and is now following the unified communications strategy. 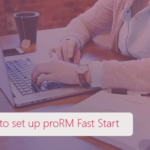 As a Microsoft partner, proMX is working not only on consulting services based on Microsoft Dynamics CRM and connected solutions, but also on developing our own product, proRM Business Solutions, which is a completely compatible extension to MS Dynamics CRM for sales, resource, and project management. We are always open to discussion, learning new technologies, and the newest trends – that is why Microsoft Convergence is one of the key events for our company. This year, Atlanta was full of fruitful meetings for the CEO of proMX GmbH, Peter Linke. First, he met an old friend and our long-term partner, Rodrigo Arias of Axentit (Mexico). Constructive dialogue as well as the inviting atmosphere of the city of Atlanta and Convergence resulted in serious business planning and strategic cooperation. 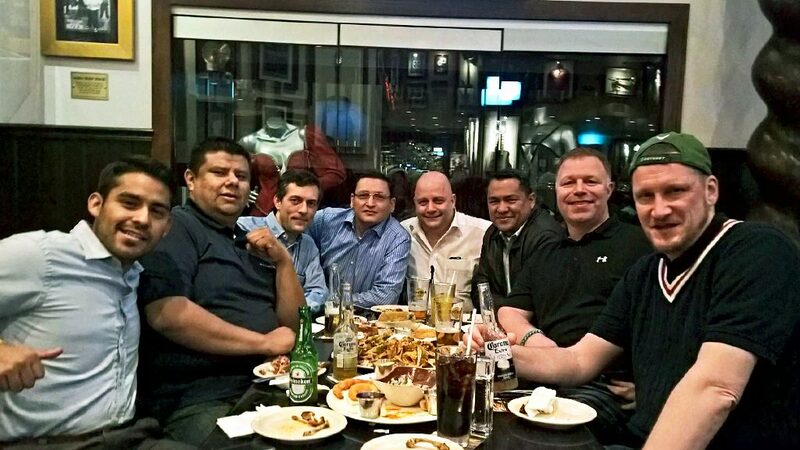 in the photo: Peter Linke with Daniel Velasco, José Ramírez, Mariano Arias, Rodrigo Arias, Carlos Alberto, Sascha Löwer, and Christian Kraus in Hard Rock Cafe. We believe a significant extension of our partner network will be an outcome from the productive discussions with Carlos Alberto, COO of MyPartner (Portugal), Frank Grimberg, Owner of Prosoft Systems (Washington area, USA), Jeffrey Goldstein, Managing Director at Queue Associates (NY, USA), and Jim Wilkes, Director of Sales at Delaware Consulting (USA). We thank all our partners for the new ideas and productive negotiations. Now we are looking forward to new events and of course the next Convergence. It will be held from November 30th to December 6th in Barcelona. So, see you there! 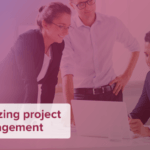 However, if you cannot wait that long to know more about our partner program and partner benefits, you can always fulfil our partner request and get the most up-to-date information about opportunities for your business.